Legal Plus and Wolters Kluwer Hong Kong brings back one of the most anticipated legal event to Beijing this November. 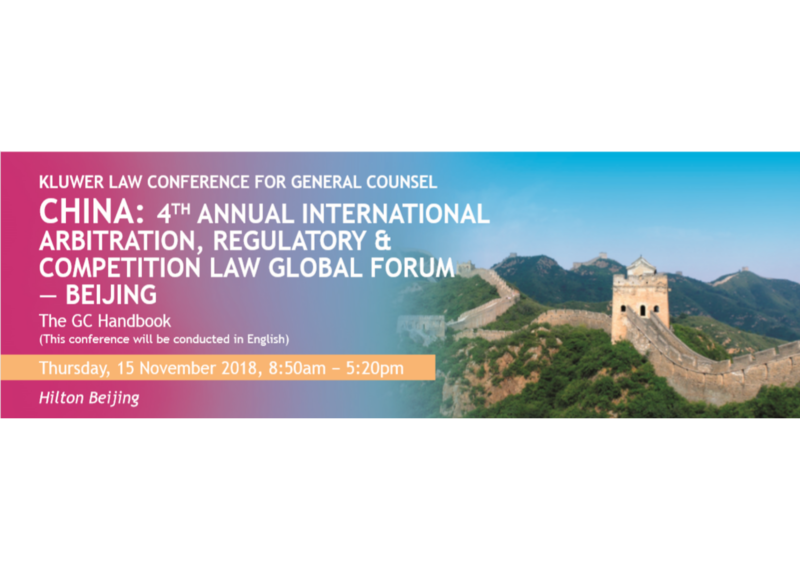 The 4th Annual International Arbitration, Regulatory and Competition Law Global Forum is scheduled on 15 November 2018 at Hilton Beijing. The registrations are ongoing and delegates would be entitled to a special discount (Supporting Organisation Rate) for registering through our website. If you are an in-house counsel or a government official, you may apply for the complimentary seat, which are limited and based solely on the organizer’s discretion.